Meet UltraShape Power: Destroying More Abdomen Fat Than Any Other Non-invasive Treatment Available! UltraShape Power uses pulsed ultrasound technology in order to target fat deposits in a treatment area. Through the use of highly focused sonic waves, UltraShape Power leaves surrounding tissue unaffected and provides desired body contouring for the client. Studies have found UltraShape Power to reduce abdominal fat layer thickness by up to an astonishing 32% after only three treatments. UltraShape Power contains an USculpt transducer, which delivers 50% more energy than its predecessor. The transducer provides higher acoustic energy deployment, allowing the precise targeting of fat cells with minimal increase in tissue temperature. No bruising, swelling or downtime. Treatment regimen of 3 treatments spaced 2 weeks apart. Comfortable, “walk-in, walk-out” 45 minute procedure. There is no pre-sized applicator, meaning a flexible treatment area with smooth outcomes. UltraShape Power can achieve up to 32% fat layer destruction, 10% over the leading competitor. Virtually painless – In clinical studies the mechanical versus thermal mechanism resulted in a rating of pain as 0.7 on a scale of 0 to 10. Clinically proven to be safe and effective with over 15 peer-reviewed papers and book chapters. Measurable, noticeable and long-lasting results after just 2 weeks – faster than any other technology. Results appear gradually and are typically final within 6 to 12 weeks. Destroyed fat cells do not grow back; permanent results with weight maintenance. The damaged fat cell releases the fat to be metabolized by the body. Avoiding alcohol for at least a week post-treatment is recommended as consumption can potentially delay fat excretion. Lifestyle is crucial! the client should create/maintain an ideal environment for fat reduction by having a healthy diet and engaging in daily movement. Three sessions of UltraShape has shown to provide fat thickness loss between 17-19%, while that for Ultrashape power has shown to be up to an astounding 32%. Even from the two weeks mark, the inch loss is much more prominent. UltraShape Power and leading fat freezing technology are both non-invasive treatments that share the outcome of body contouring. However, the two treatments do have significant differences which should be considered. A fantastic comparison of the two treatments was written by Dr. Dima Ali and can be accessed HERE. To read patients review, clickHERE. UltraShape Power vs. leading fat freezing technology & leading fat destruction laser: Who wins? UltraShape Power and leading fat freezing technology & leading fat destruction laser are all FDA & Health Canada approved treatments for non-surgical body contouring and fat removal. Leading fat freezing technology works by freezing fat cells, leading fat destruction laser works by heating fat cells, and UltraShape Power uses focused, pulsed ultrasound for selective fat-cell removal. Stubborn fat can be almost impossible to remove with diet and exercise alone. A little help can go a long way. You have many options when it comes to body contouring procedures. So how to choose? Dover, J. A., Burns, J., Coleman, S., Fitzpatrick, R., Garden, J., Goldberg, D., … & Zelickson, B. (2009). a Prospective Clinical Study Of Noninvasive Cryolipolysis For Subcutaneous Fat Layer Reduction—interim Report Of Available Subject Data: 129. Lasers in Surgery and Medicine, 41, 45. Amir, R. (2016). A Single-Center, Controlled Study to Assess the Effectiveness and Safety of the UltraShape Power® System Using U-Sculpt Power Transducer for Abdominal Non-Invasive Fat Reduction. Liposuction may provide the most prominent results, however it is an invasive procedure which removes bulk fat from various areas of the body to contour and shape. There is a 2-3 week recovery time involved, with the final results appearing within 6 months. There is high risk of infection, complications and uneven fat removal which can leave the client physically distorted. On the other hand, UltraShape Power is a non-surgical alternative that provides similar but more natural looking results. Natural, meaning more similar to the process of natural fat loss, as the fat melts away over a couple of months. Why Do We Offer UltraShape Power? At Laser Medical Clinic, we are proud to offer UltraShape Power. UltraShape Power is clinically proven to provide superior results compared to other body contouring procedures. UltraShape Power is fast and has absolutely no down time and virtually no side effects. UltraShape Power damages fat cells with pulses of ultrasound energy. The fat cells are instantly damaged and the body then permanently eliminates them over the next 1.5 – 2 months. Many patients experience results that are obvious after only 2 weeks. Most patients need at least 3 sessions and each session lasts between 15 – 45 minutes depending upon the area treated. Patients are immediately able to go back to work and/or play after receiving a treatment. All skin types can effectively be treated. Unlike liposuction, UltraShape Power is non-surgical— which means no incisions, anesthetics or recovery time. And unlike other fat-targeting procedures, UltraShape Power is painless for most and leaves no visible signs of treatment. This means you can have an UltraShape Power treatment and attend a yoga class in the same day! My main trouble spot/area has been my abdomen, especially after three kids. I asked my friend her thoughts on Ultrashape power and Coolsculpting, since she’s done both. She convinced me Ultrashape power was the more effective option and recommended this clinic because they have the best prices (can’t go wrong with that as a full time mom). I did a prayer and asked God to make this work! I was blessed! 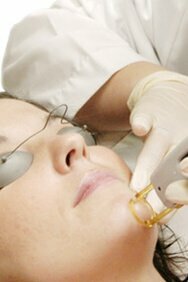 I had three Ultrashape power treatments done so far, every other week. After the first treatment, I lost about 2 inches somehow, I have no idea how. I was told this machine wouldn’t help with skin tightening but I definitely notice more tightness in my abdomen area. One month after the third treatment, I’ve lost a total of 4.5 inches.